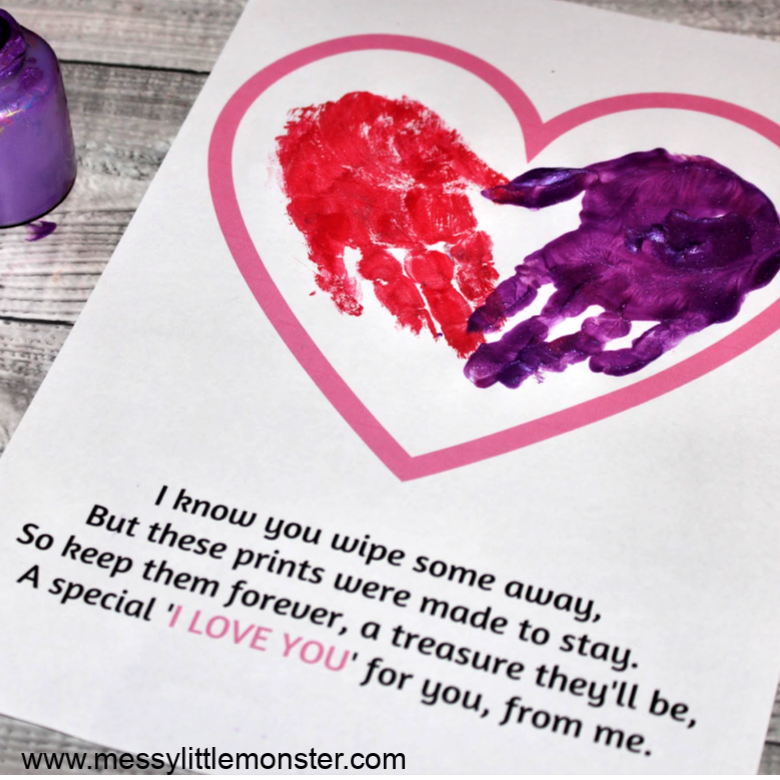 Handprint keepsakes are always adorable and what better way of helping your little one tell someone they love them than with this free printable handprint poem keepsake. 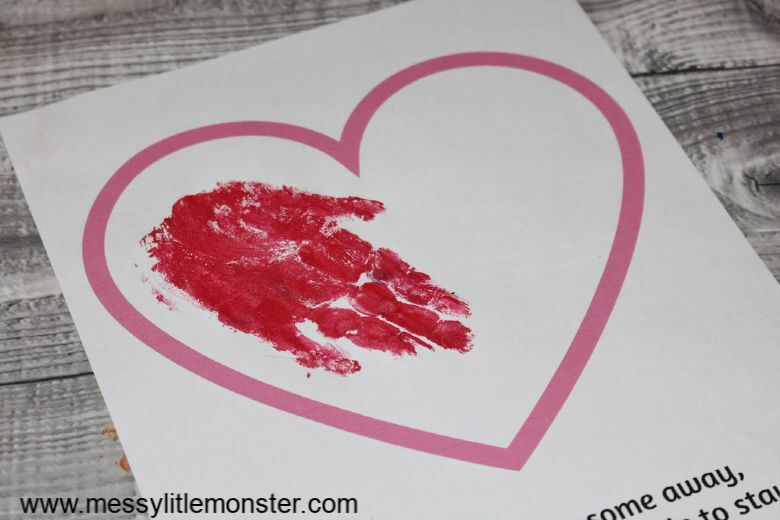 This easy handprint heart craft would make a great Valentine's Day craft or Mother's Day craft for babies, toddlers or preschoolers. 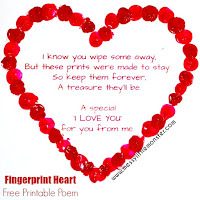 Scroll down for your printable handprint keepsake poem to make your own handprint heart craft. We love creating keepsakes and have a whole collection of keepsake craft ideas. 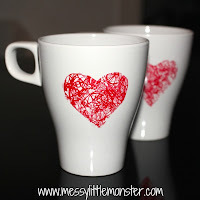 Take a look at all our other heart crafts too! 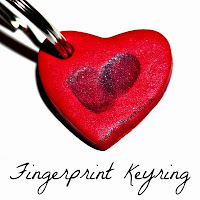 Handprint keepsakes (as well as footprint and fingerprint keepsakes) are always ones to treasure! 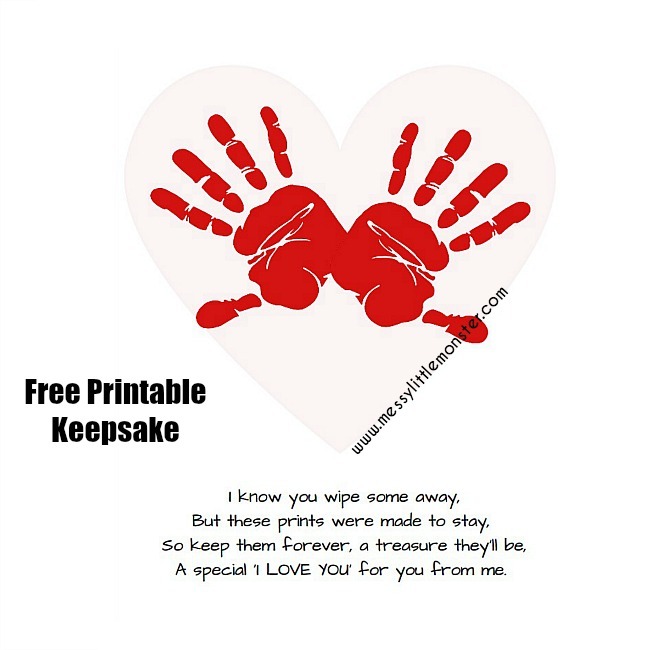 Using our free printable handprint poem this handprint heart keepsake craft couldn't be any easier. 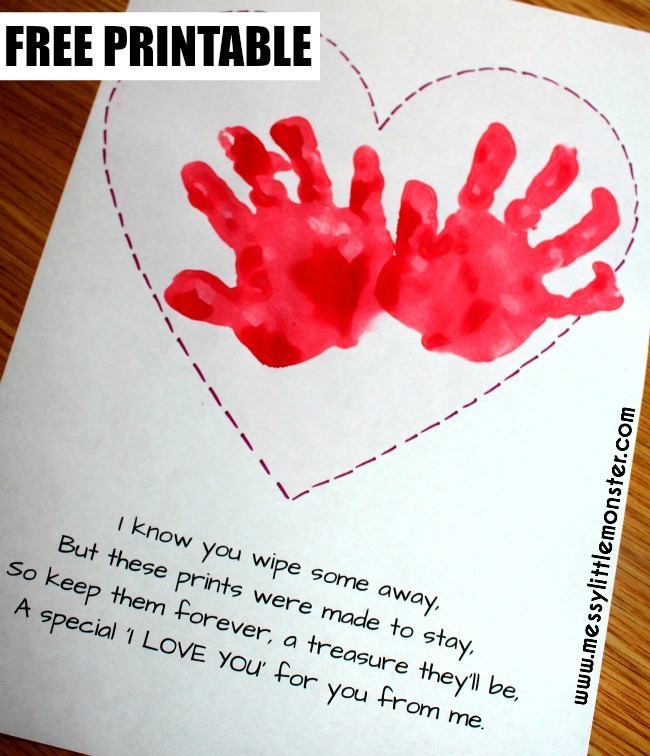 The printable consists of a handprint poem at the bottom with a heart shape above for you to add your child's handprints. A special 'I LOVE YOU' for you from me. 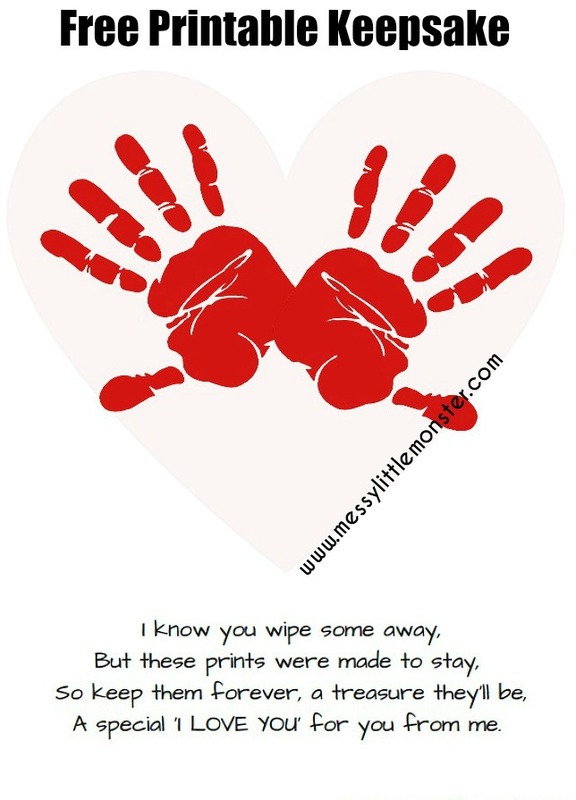 Scroll down to download and print out your handprint poem. I would recommend printing onto thin cardstock. 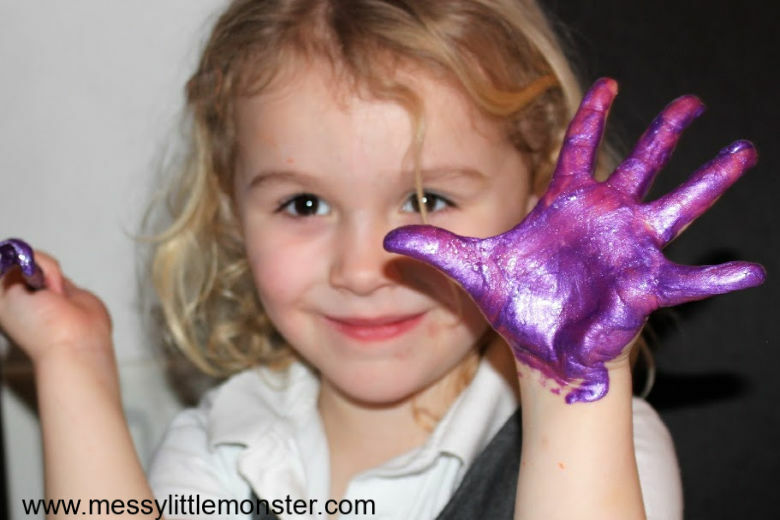 Older children will have lots of fun painting their own hands, but younger toddlers and preschoolers may need a little help. Make sure that your child's hand is completely covered in paint. For babies a footprint poem might be easier. 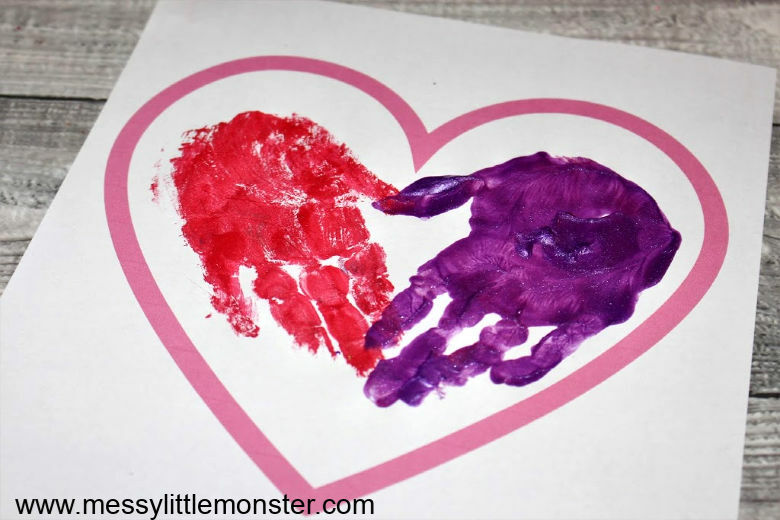 Make two handprints within the heart shape on the printable. You could use one colour paint or a combination of two, I personally love using two different colours! Point the hands downwards and close the fingers to create a handprint heart. 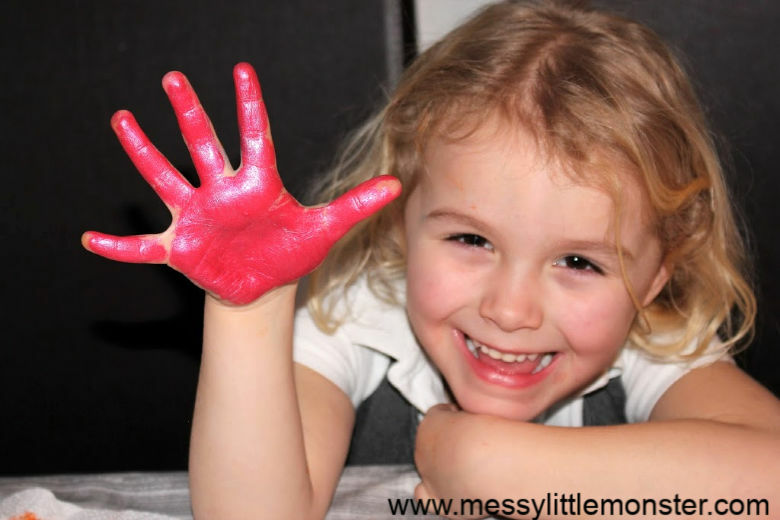 when making handprints and younger toddlers may like to decide for themselves where on the heart to make the handprints. This handprint poem works perfectly wherever on the page your child chooses to make their handprints! Here are Daisy's handprints taken at 16 months old. Adding dotted lines around the edge of the heart with a pen helped the heart to stand out on the page. We hope that you love this handprint poem as much as we do. 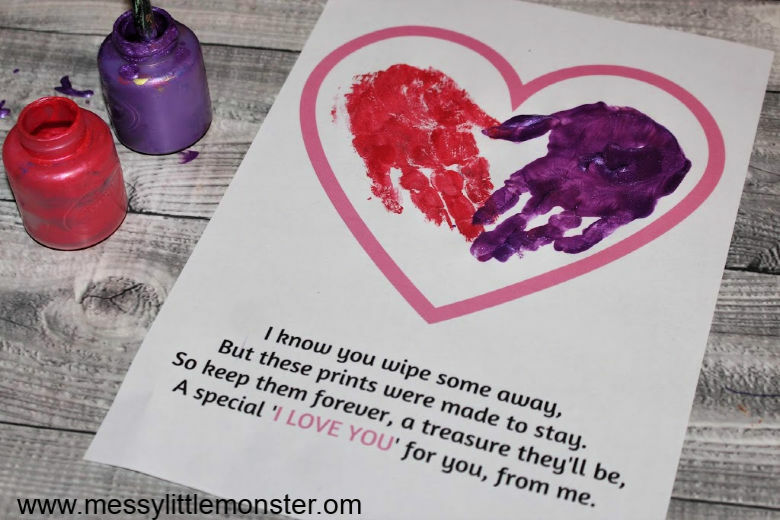 Making a handprint heart and putting it alongside this handprint keepsake poem is such a lovely way of young children twlling someone they love them.